Hi there! Thanks so much for taking my class at Bastyr University, Paleo Cooking for Autoimmune Disorders. On this page you will find all of the resources we talked about in class. Download your 2-Week Meal Plan and Shopping List here! Download the Power Point file for the lecture here! Please note that all of these materials are my copyright and they are intended for personal use only. 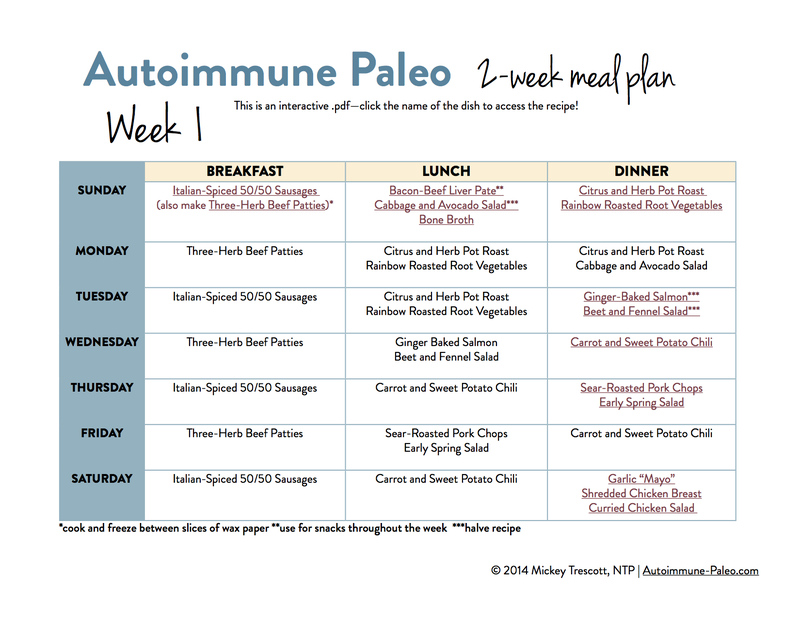 Practitioners, you may share the print-out guides and meal plans with clients by directing them to sign up for my email list here–> http://autoimmunewellness.com/email. Please do not republish or reprint the materials or photos without my permission. I hope you enjoyed the class and went home with some knowledge to help yourself and/or your clients to achieve better health!